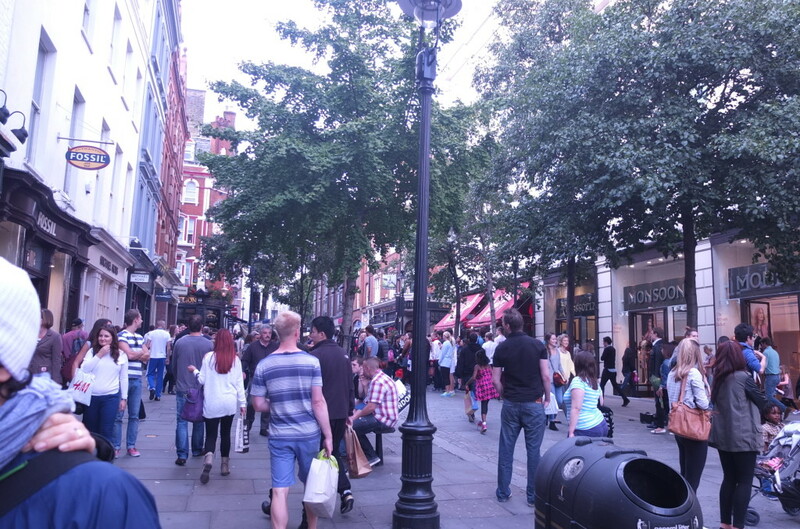 While other London markets like Spitafields and Brick Lane may be more famous, Covent Garden’s Apple market is the only market located smack dab in central London. No need to plan a separate excursion here, you are likely to stumble across it when you’re in the area visiting the Royal Opera house, the excellent London Transport Museum (and fabulous gift shop, read about it here) or the nearby theaters. 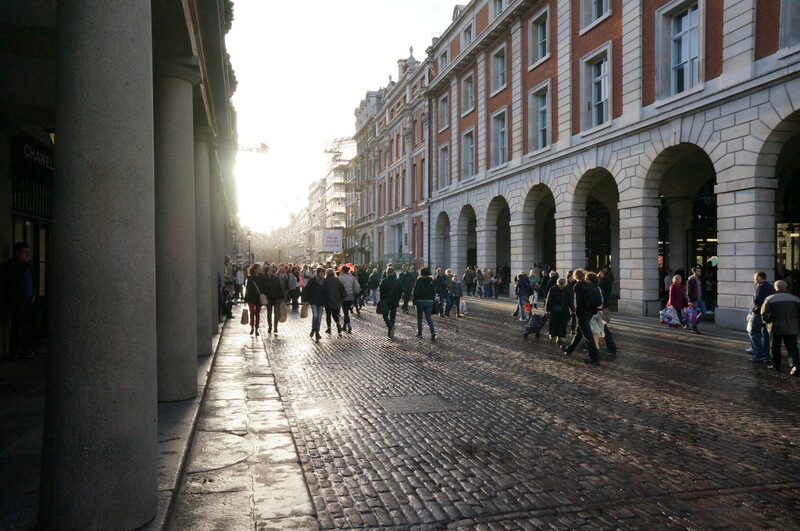 High street shops crowd the streets of the Covent Garden. 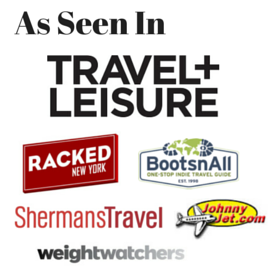 While most aren’t unique to London or even the UK, there are a few British chain stores that don’t yet have a US outpost. You may have to dodge some street performers– they are everywhere. 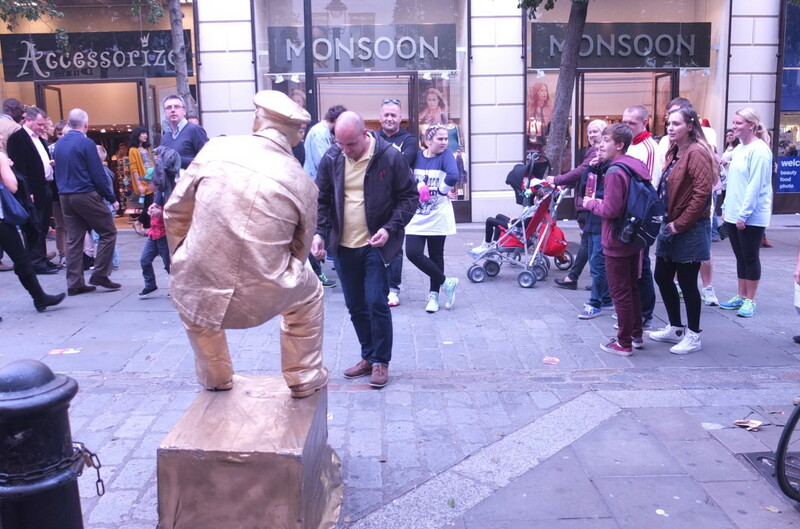 But before you let out a groan, keep in mind that street performance has had a long history in Covent Garden– artists have been performing here since the 16th century. 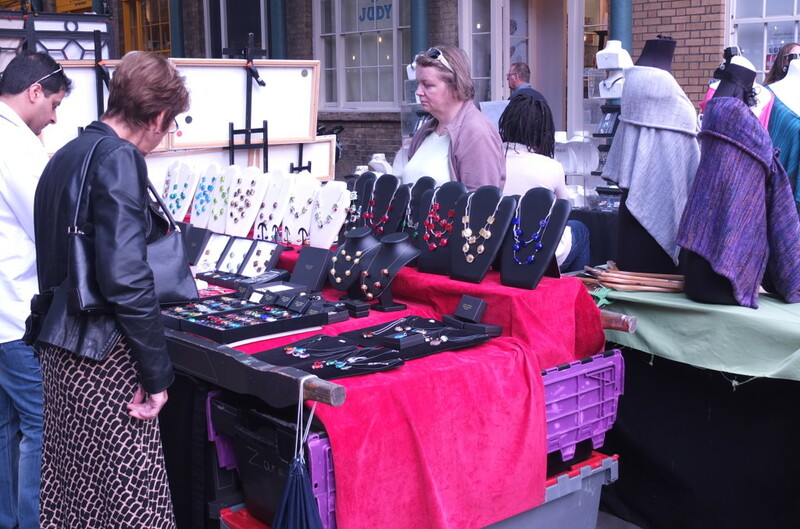 You can’t miss the Covent Garden market– it’s the main building on the central piazza, across from St. Paul’s Church and the Transport Museum. 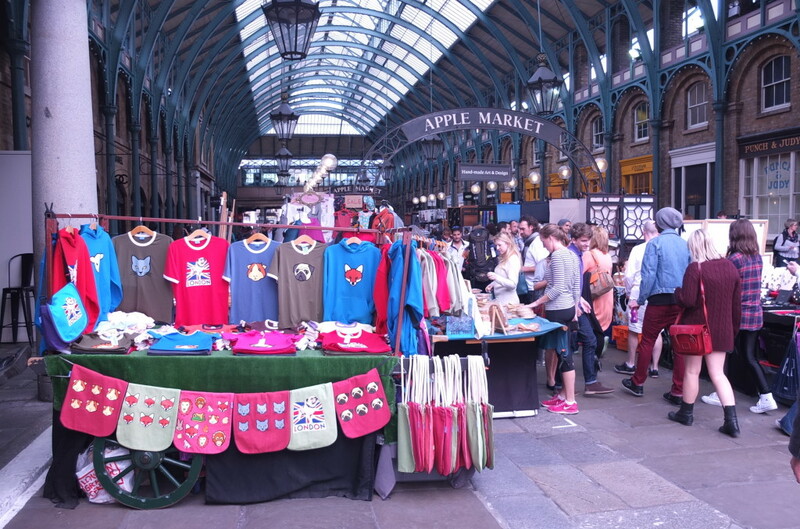 There are a few different markets areas in Covent Garden, but the Apple Market is my favorite. The Apple Market requires that all its vendor stalls carry only goods made locally in the UK. 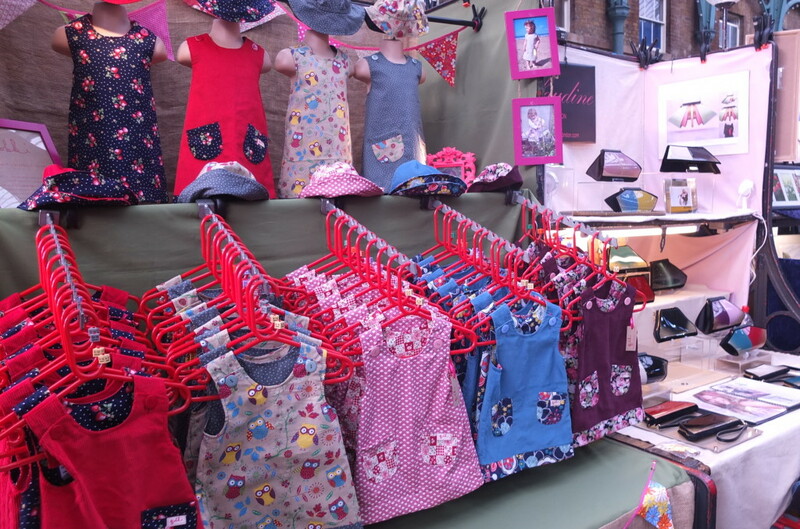 The exact vendors at the Apple Market may change depending on the day of the week, so check the market’s website if you’re looking for a particular stall. 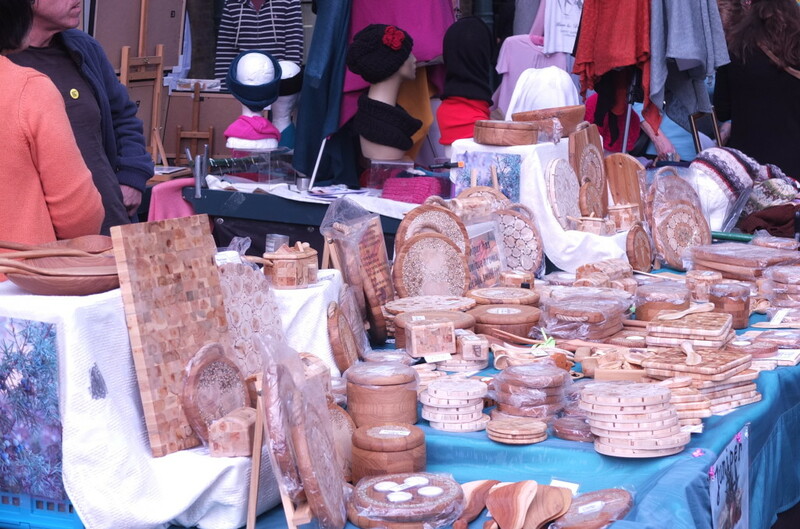 There are only a couple dozen stalls here, so it’s easy enough to make a quick walk through. What can you find? 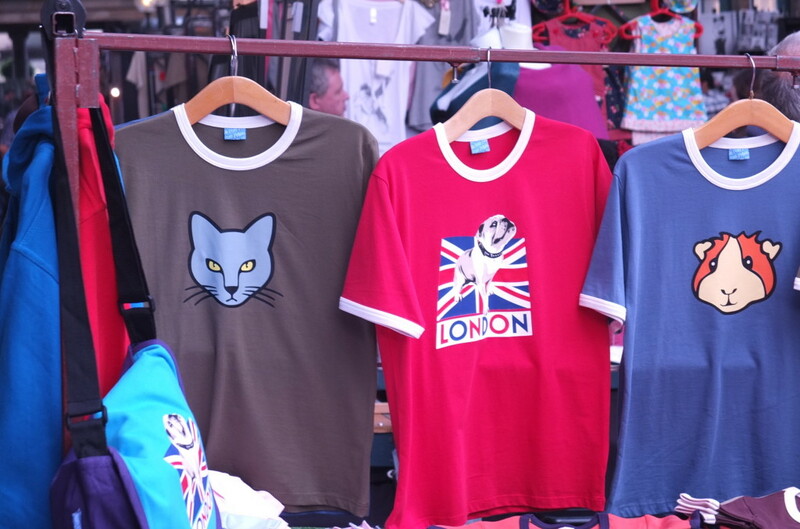 Colorful tees with London designs. Assorted items made from cork. 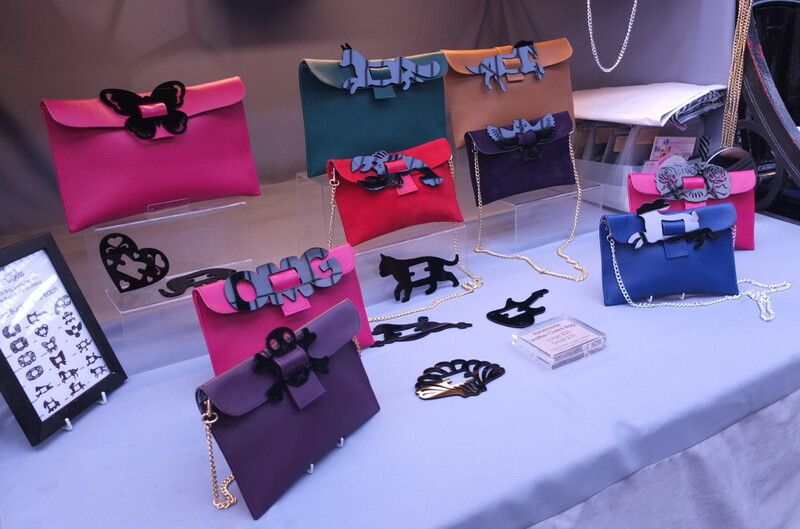 Clutch bags from Heidi Sturgess, handmade right in London. A great buy at £55 for large clutch, £39 for a small. 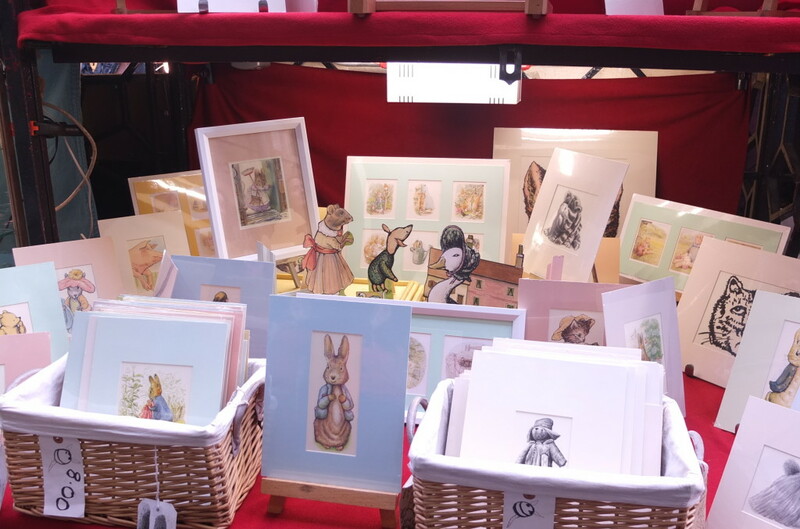 Beatrix Potter inspired sketches and cut outs. 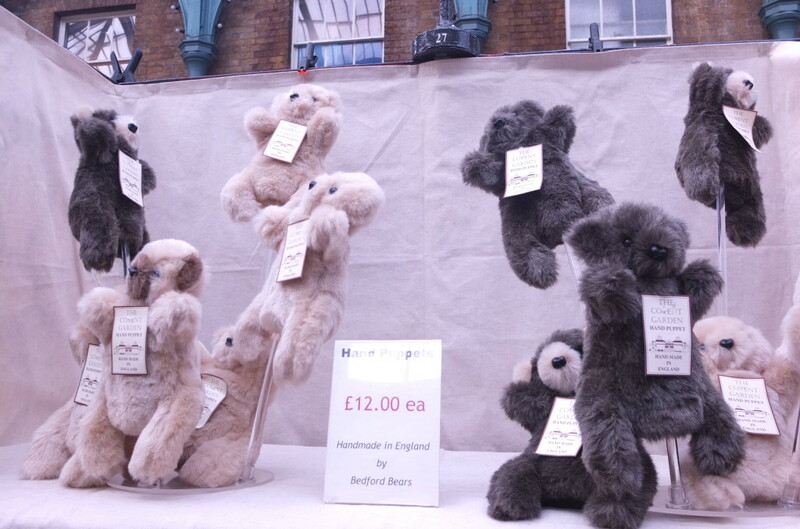 Sweet bear puppets, handmade in England by Bedford Bears, a steal at only £12. 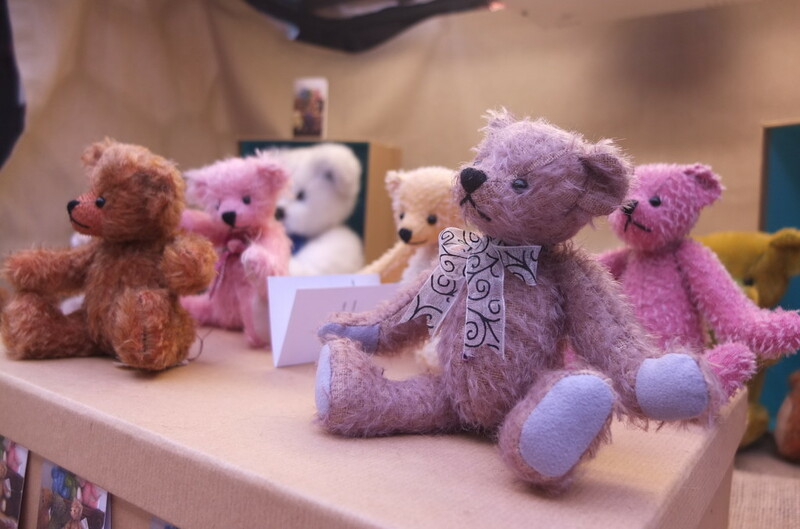 The vendor was happy to demo the bear puppet. 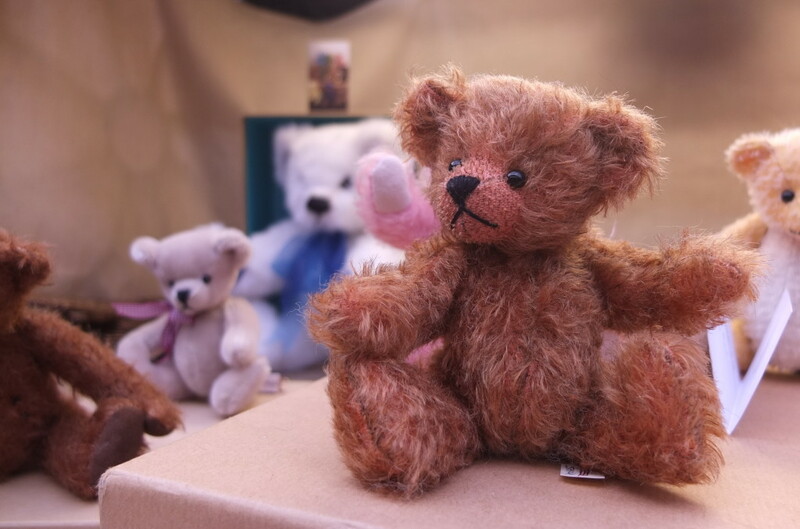 I also loved the their tiny bear assortment. This little guy was my favorite. 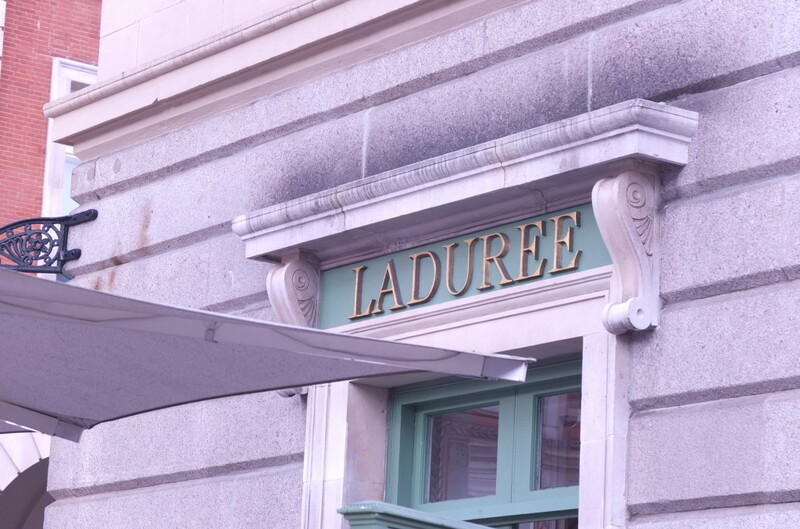 On the way out, stop for a macaroon at Lauduree or a burger from Shake Shack. Unlike the originals in Paris and New York, respectively, I saw no lines here. Then make like a Londoner and hop one of the Boris Bikes (right outside the market) to your next destination. 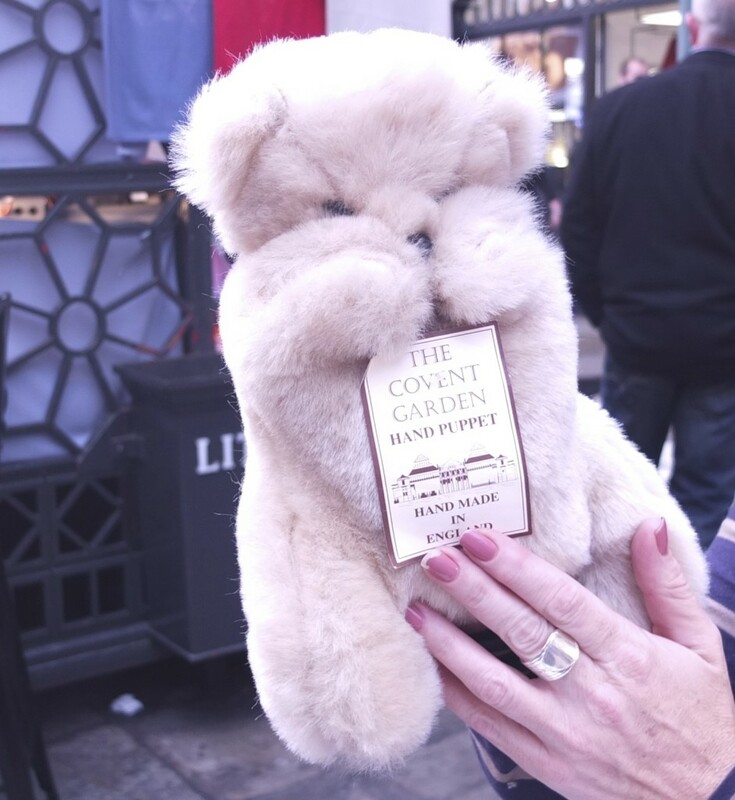 Have you shopped at Covent Garden? 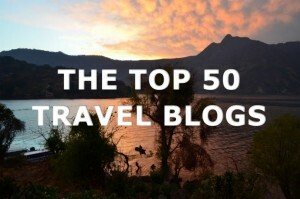 Tell us about in the comments! All photos Copyright 2014 by Souvenir Finder and may not be reused without express permission. Hi Sue, yes the bikes are part of a cycle project and all over London. I think I’d skip the street and cycle through Hyde Park– I know I saw them there too. Yes Likely a more enjoyable and safer bet! Great photos! Markets are a goldmine of epically unique souvenirs. Good find! It’s definitely the thrill of the hunt! I love that it was so convenient– it takes so much time and effort to plan a day to the big markets, even a relentless shopper like me doesn’t always have time for that! Kristin~ do you mean COVENT Garden?